Happy 2017!! I cannot believe we are in a NEW YEAR! 2017!! Woohoo!!! I am so pumped for the New Year and what better way to kick things off than a fresh, new home project! 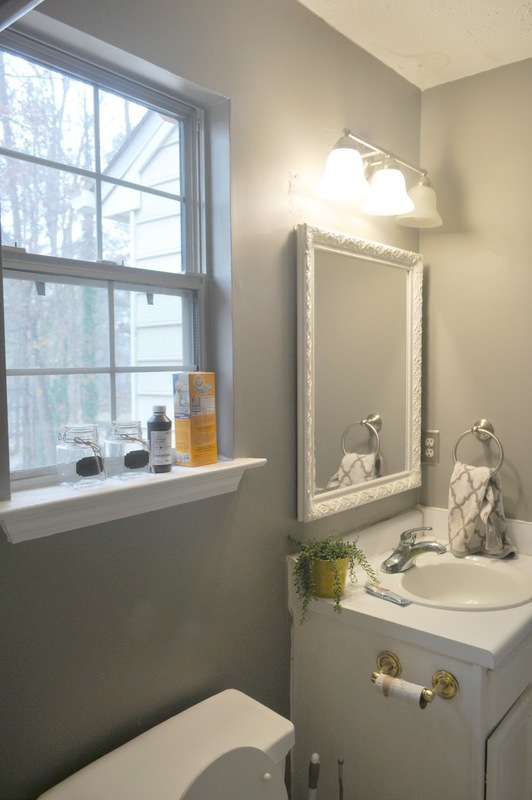 I will be back later this week to talk about some home goals for this year, but this month I am super focused on completing my guest bathroom. 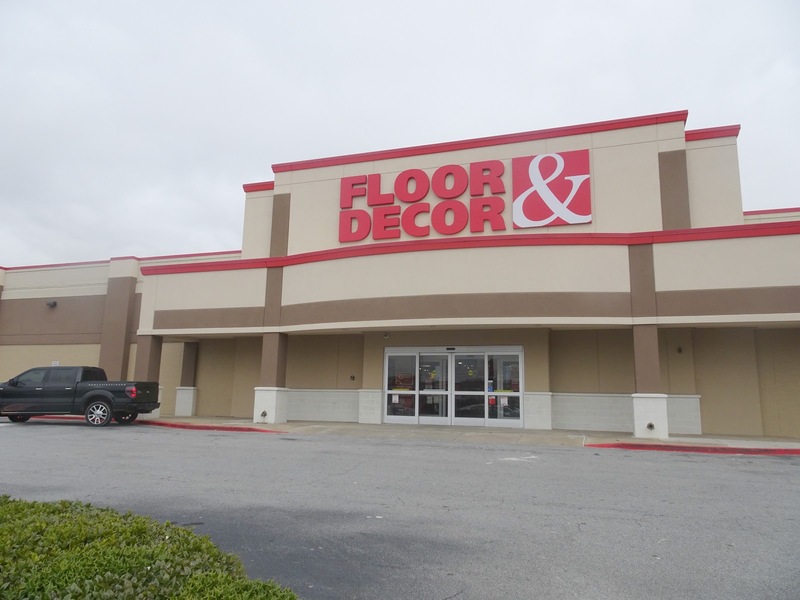 I am also very excited to be partnering with Floor & Decor on the project. 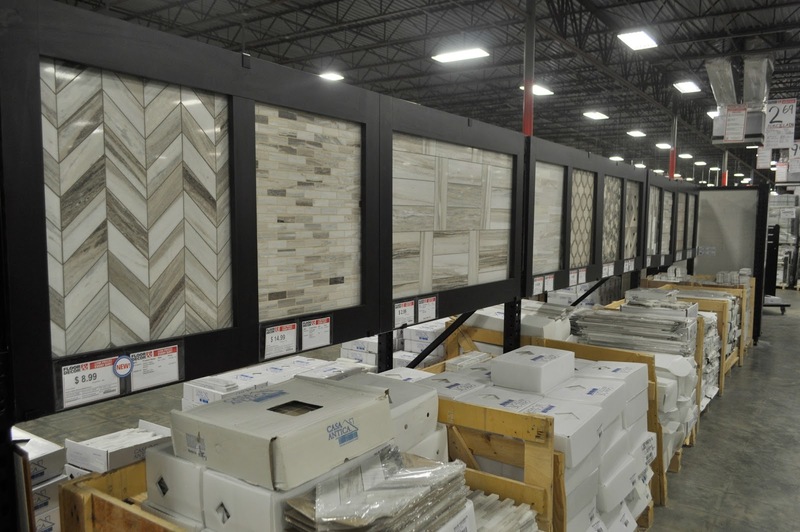 Floor & Decor is my absolute favorite spot for flooring! 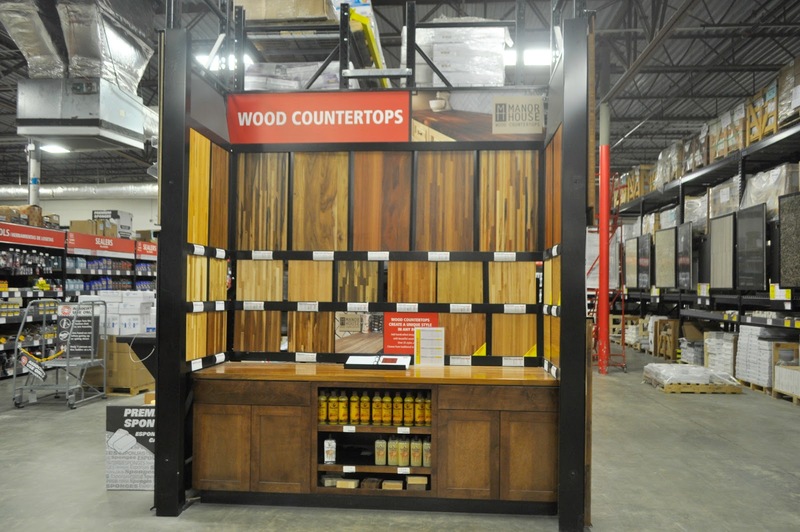 I’ve used several of their products in my home and they offer a wide variety of in-stock top-quality flooring at rock bottom prices. 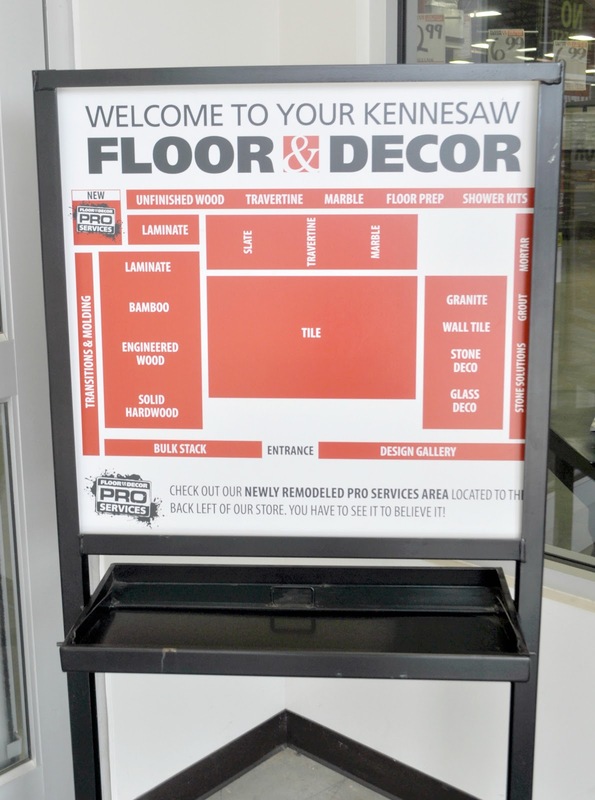 I was fortunate enough to tour my local Kennesaw store, right outside of Atlanta and it was awesome to view the store in such a different element! Let me take you along for the ride. Stick around until the end and I will show you which floors I selected and a pretty hideous picture of my guest room as it stands. Such a super convenient timesaver, right? Matthew walked me through every square inch. We started by walking the glass deco, glass, and wall tile. 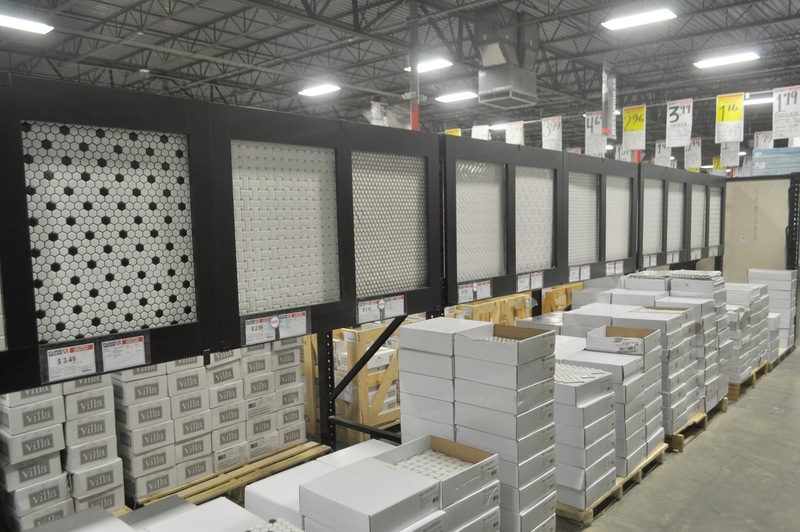 We continued checking out more glass, wall and stone tile. Such gorgeous options. 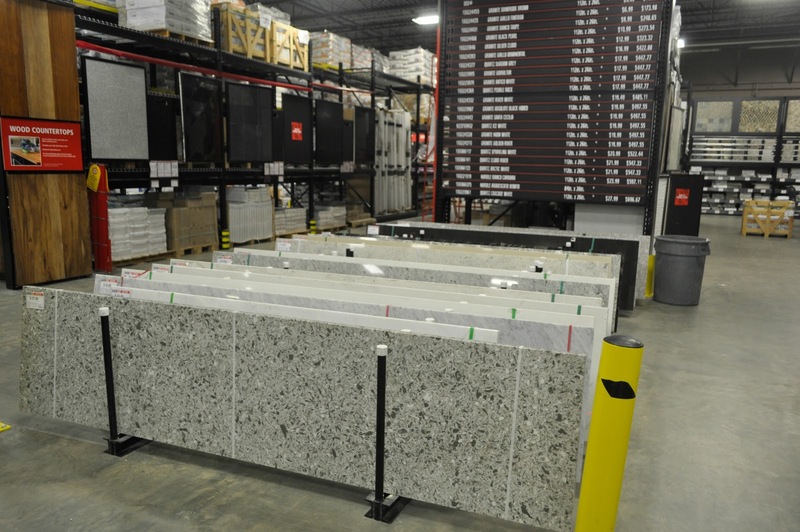 They also offer large slabs of granite and quartz, along with wood countertops. 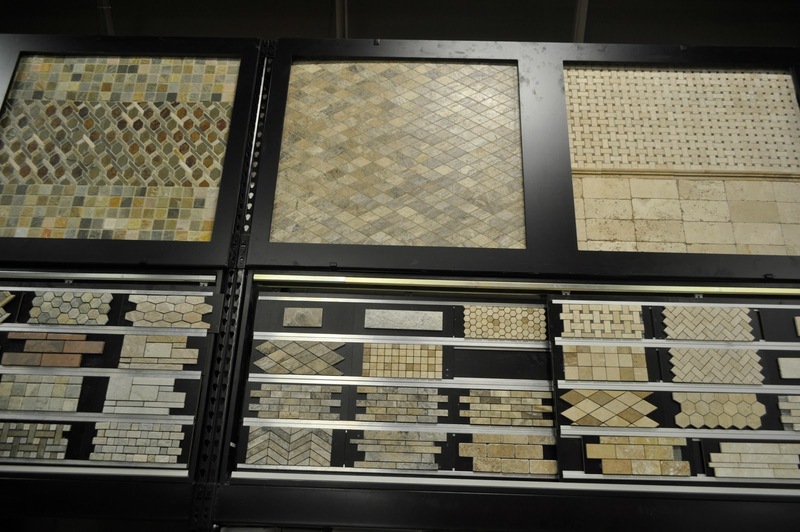 In addition to offering the hundreds of options of ceramic, marble, and stone tile, they also offer lot’s of options of hardwood, bamboo, and laminate. Can you guess this is all laminate? The laminate options are awesome. 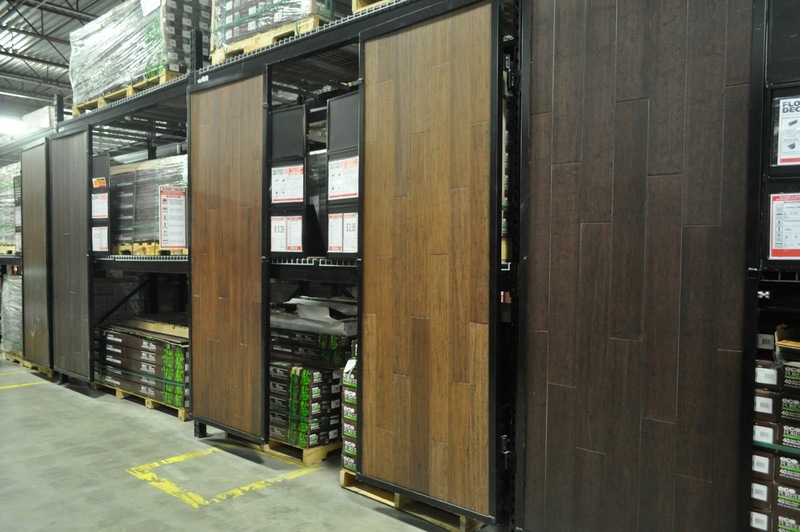 Laminate has come along way as far as quality and selection. Love the mix in tones of this hardwood flooring. I was hard pressed to even realize that this was not hardwood. I absolutely love these ceramic planks. 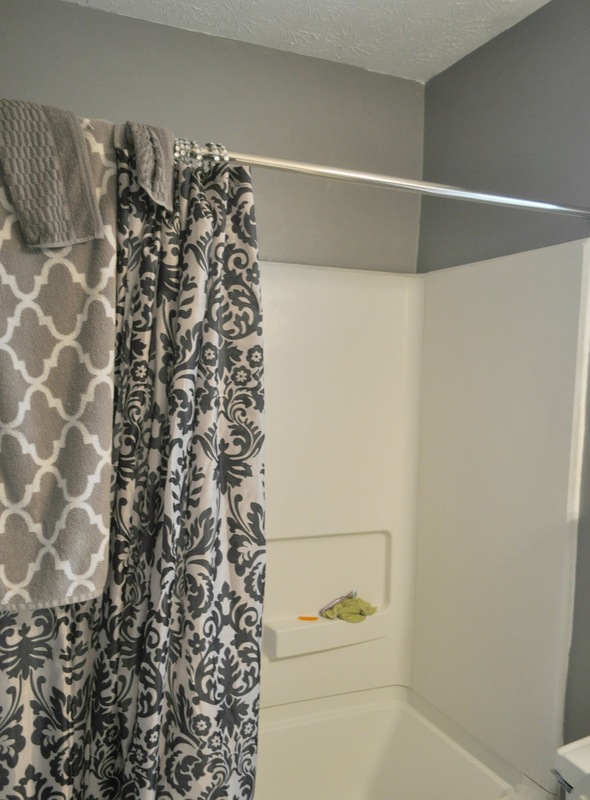 Great choice for a mudroom,laundry area, or any high traffic area. After searching the store, I fell in love with this tile (Insert all of the heart eyed emojis)!! 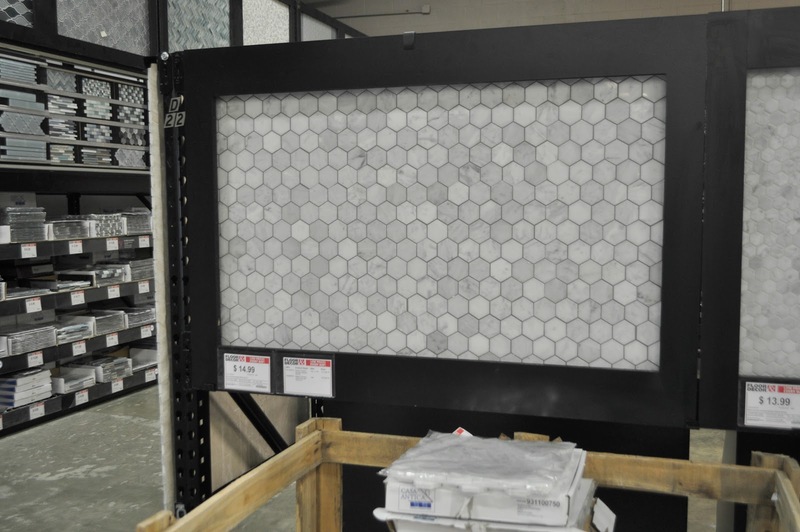 It’s the Bianco Carrarra Hexagon Marble Mosaic-12×12 inch and it is gorgeous. I somehow feel like pictures do it no justice. It’s polished, but not too slick where proposes a slip hazard. 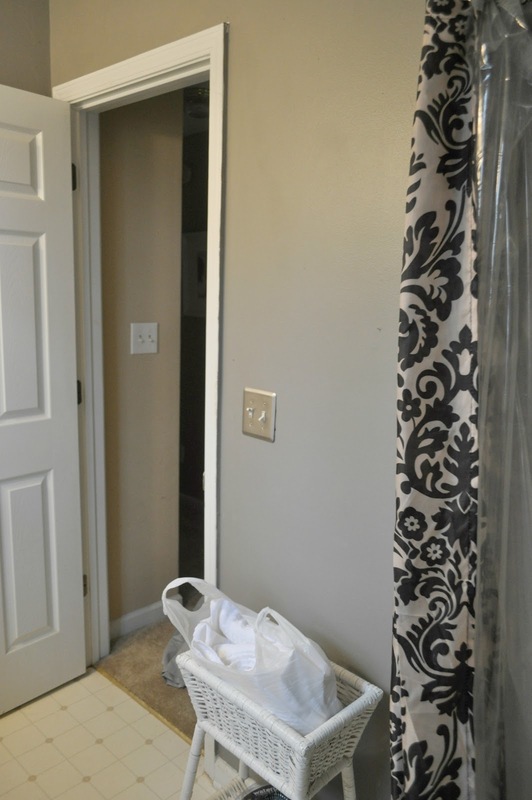 I just love it and I know my guests will love it too! Here is my guest bathroom in it’s current state. Y’all, it is bad. It’s the most neglected room in my home, next to my master bedroom. This room is worse though. Just a hodge podge of….crap, lol. Well over the next few weeks, that will all change thanks to the floors kickstarting this entire makeover, and I cannot wait to share the process and the evolution! Do you have a Floor & Decor in your area? I will be back next week to share the plans for this space. Until next time! Thank you to Floor & Decor for sponsoring this post. All opinions are my own. Looking forward to seeing the transformation. I will have to keep them in mind when we redo our laundry room floor. Thank you Lauren! They are definitely ones to consider! Oooooohhh! Love all these options and Floor and Decor. I could get lost in that store, there's so much to look at. And, those floors you chose are beautiful. Are you planning to install them yourself? Hey Whitney! Yes, the variety they offer is amazing. Yes, we will be tackling the installation of the flooring ourselves. I'm super excited! Thank you Lisa! Yes, the options are endless and the design option is amazing! 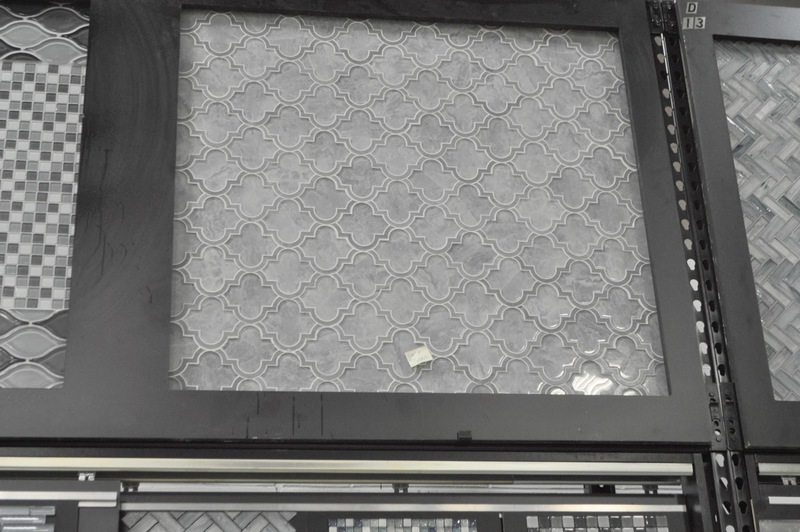 Nice tile, can't wait to see the after! Thank you Tiffany. I can't wait for it to come together! 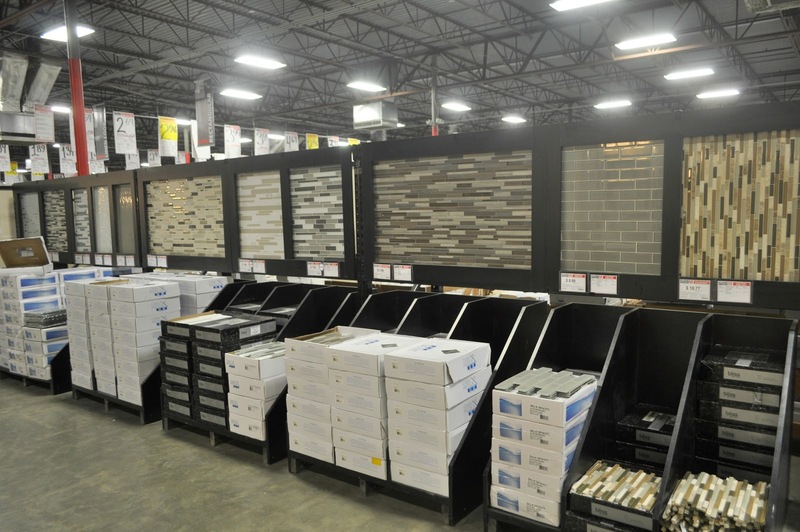 wow, such a beautiful tile selection that you chose. 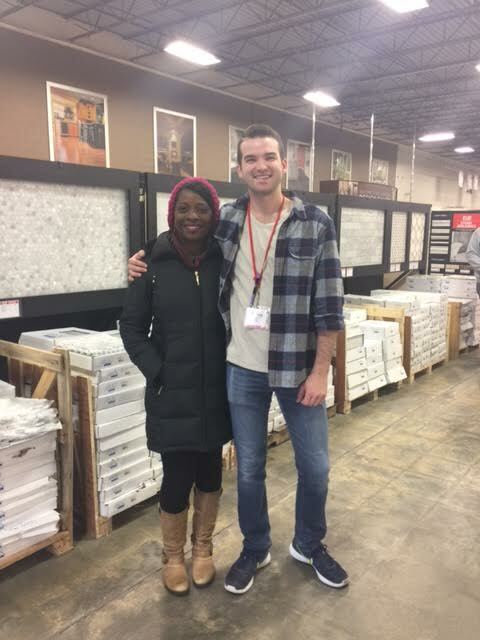 I've never been to floor and decor, but after reading this post, I'm inspired to go check it out! Can't wait to see your project in it's completion! You would love it Alaya! You have to check it out. Thanks for stopping by. Erin I LOVE the tile you picked, that is exactly what I would have chosen too, and it's going to be gorgeous in your guest bathroom! Thank you Lisa! I really appreciate your kind words! We absolutely love the flooring. Looking forward to seeing your bathroom's transformation. 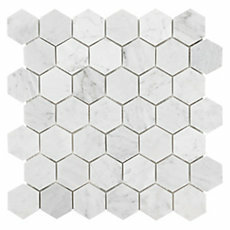 I'm loving the tile your chose. Last year I discovered floor and decor and I absolutely love them. 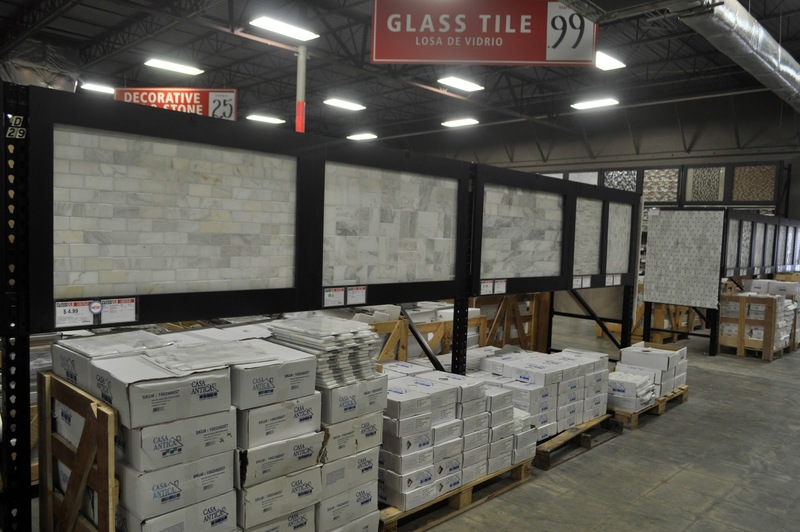 Great place to find all your flooring needs with a very helpful staff. Thank you Darnetha! 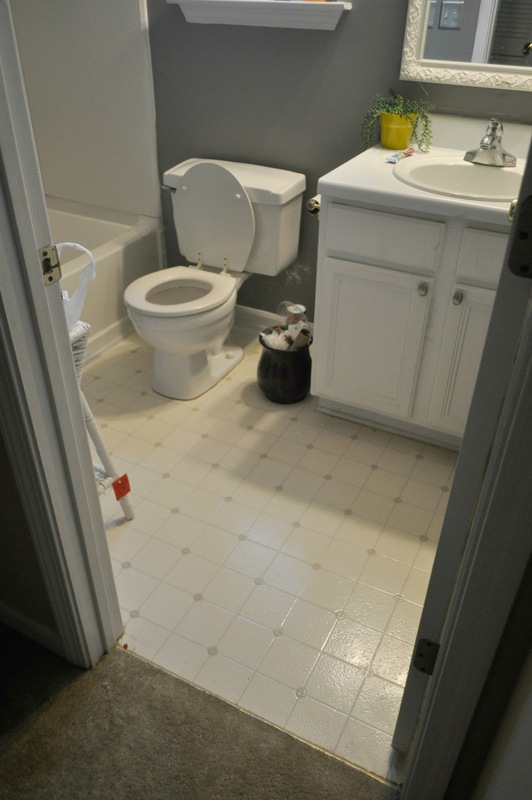 So glad you like the tile and have visited the Floor and Decor in your area. Its really an awesome store!